The phrase “security always starts with you” has been overused according to most regular internet users and they find it a cliché nowadays. As a result, most regular internet users ignore security prompts that pop up whenever they are on the internet browsing, chatting or even uploading files. Every prompt ignored by these users, in the end, lead them to devastation when they find about the infringement of their privacy and their data is already online. This moment is when they wish that they obeyed their IT experts. Wi-Fi has always been the best target because of its enormous usage both publicly and in private. You will find over a thousand results from your search engine about Wi-Fi cracking applications most of which have proven to be successful. These attacks could be attributed to the WEP, WPA and WPA 2 security systems used in most Wi-Fi routers that are not strong enough to and leave the users vulnerable to attacks. Aircrack-ng is the most popular Wi-Fi cracking tool that utilises the authentication handshake to capture data packets passed through the router. According to established security companies such as Symantec and Bitdefender, the facilitators of successful attacks are weak passwords. These passwords are contained in data packets sent to the router and can be converted from hashes to raw passwords with the help of tools such as the famous ‘John the Reaper.’ Weak passwords are those that contain plain letters or numbers that can be easily obtained by use of a dictionary of passwords lists dumped on the internet. SkullSecurity is the perfect example of a password dictionary site. With these few basics, we have discussed above how hackers perform Wi-Fi attacks, then we are going straight to the point, and explore some of the ways we may avoid such scenarios. 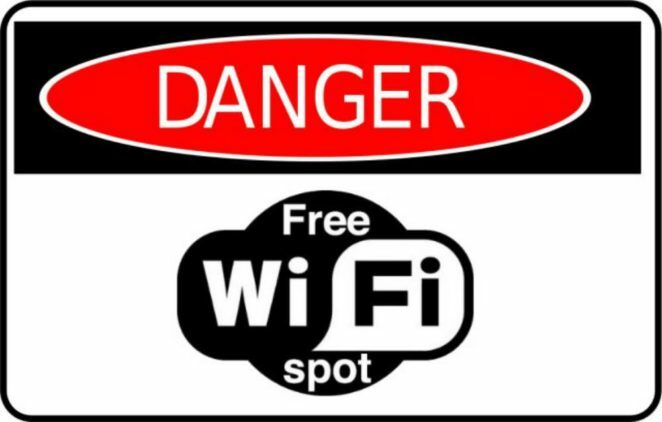 The first tip on how to use public Wi-Fi is to prevent automatic connection by your devices to the public networks. Many people consider as a fast means of connecting to the internet, but you are just exposing yourself to vulnerability. Automatic connections will enable hackers to connect to your device without your knowledge for more extended periods and thus, make you vulnerable. Never forget to turn off file sharing when outside your home network. Always practise restoring network defaults after sharing to keep sharing data to public networks off. You find that whenever connected to a network, then everyone connected to the same system can view content shared in your computer. Network sharing was for the good of the computer users, but hackers with sinister motives would not give any chances to such an opportunity, and they will maximise it to steal data from your device. VPN is the other thing to consider when using public networks. These VPNs use encryption algorithms only known by the user device and the target VPN provide. Such encryption makes intercepted data packets meaningless to the hacker unless they understand how the algorithm works. Unfortunately, the algorithm generation is so random that the hacker will require high-level skills to recognize. However, free VPNs have been known to keep logs on their servers, and I do not advise anyone to use them on matters that require serious security. The third way to use a public network securely is through the usage of network detection applications such as NetSpot, Avast antivirus, Norton or Bitdefender. Take for example the premier version of Avast antivirus that offers the Real site module to help prevent phishing. This software can detect phishing sites and will help you get to the correct website when using public networks. Hackers are known to create phishing sites to capture raw inputs then redirect you to the actual site. You may never notice this especially if they use HTTP basic auth to log you in. You may also consider using secured public Wi-Fi networks with strong user policies to connect to the internet. There have been cases whereby attackers provide free Wi-Fi access through their router so that they may collect data from unsuspecting users and disappear once they fulfill their mission. Always use known public networks such as those provided in restaurants, schools, public offices or any other known provider. Your data is more valuable than fun, so be patient until you find known public networks then you can go online. We saw that weak passwords are the common reasons for successful attacks. Now, when connecting to a public network, consider the networks that apply strict password policies for your logins. Public Wi-Fi networks that require users to create an account to use their services must ensure that their users adhere to these strict rules. Such rules include having mixed-case letters, numbers and symbols or providing a random password generation option so that the users have to generate passwords for a single session only. When using public Wi-Fi, it is advisable that you visit popular websites such as Google, DuckDuckGo, Yahoo and Wikipedia that provide content without necessarily requiring a login. Remember not to keep your browsing history though because the hackers may randomly collect data to study patterns and then you may fall victim one day. Avoid Facebook, Twitter, Emails, online shopping or any other sensitive sites that involve personal data sharing because you are likely to get got and exposed online. In computing, it is good practice not to leave your device connected to the internet when it is not in use. Security and power usage are the primary concerns here, but for now, we go we focus on privacy. Nowadays, most sites through protocols similar to POP, allow for local storage of data on your computer. Local folder storage enables you to work on them later and avoid the risk of exposing your data to hackers as you process online. Prefer downloading media over streaming so that you may reduce the time of connection to the internet.